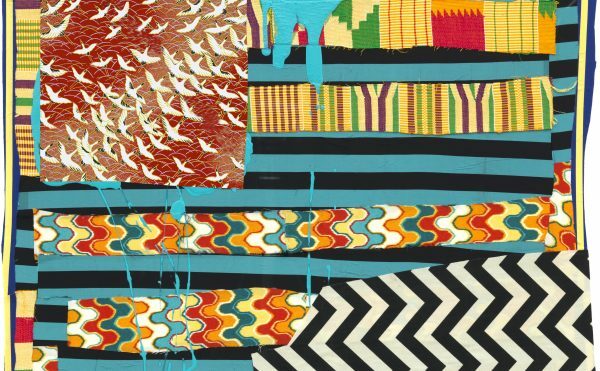 The first large-scale art and technology collaborations that occurred in the United States are not as legendary as, for example, the 9th Street Show that launched the New York School of Abstract Expressionism, but they should be. 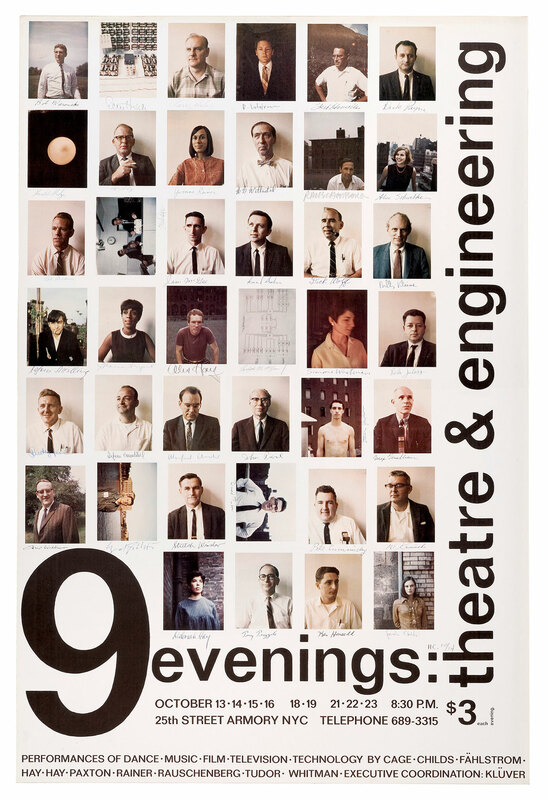 9 Evenings: Theatre & Engineering, which took place in October 1966 at the cavernous 69th Regiment Armory in Manhattan, was a series of technologically aided dance, music, and theater performances dreamt up by artist Robert Rauschenberg and Bell Labs engineer Billy Klüver. The remarkable series presaged the ubiquity of immersive environments, wearable tech, sound art, certain types of motion capture, and even wifi. Many are aware of the significance of Dada’s Cabaret Voltaire and Andy Warhol’s fabled Factory in art history, but 9 Evenings had just as much of an impact. Now, in celebration of its 50th anniversary, Fridman Gallery and Julie Martin, in association with ISSUE Project Room, are producing 9 Evenings + 50, a concert series that links three generations of composers and performers in an effort to refocus attention on the influence of the original event. The new series features collaborations among 27 artists working in different genres, also over a span of nine nights, at Fridman Gallery. 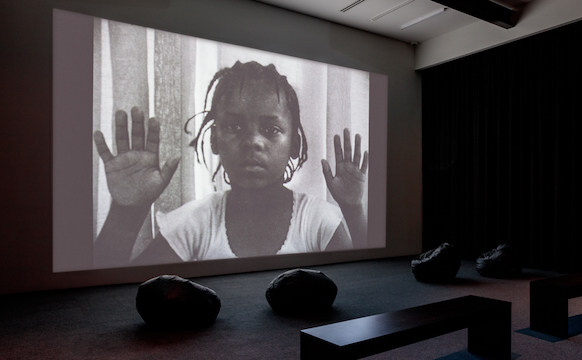 Additional events at ISSUE Project Room include screenings of archival films of the 1960s performances and a symposium on art and technology projects of the past and present. “I think Billy Klüver knew the importance of the project for implementing the possibilities of artist-engineer collaborations, to give artists access to new technology and to broaden engineers’ appreciation of the uses their work could have in the larger society,” Martin told Hyperallergic. “It was the experience of participating in the months-long collaborations on 9 Evenings that led Billy and his three co-founders of Experiments in Art and Technology (E.A.T.) 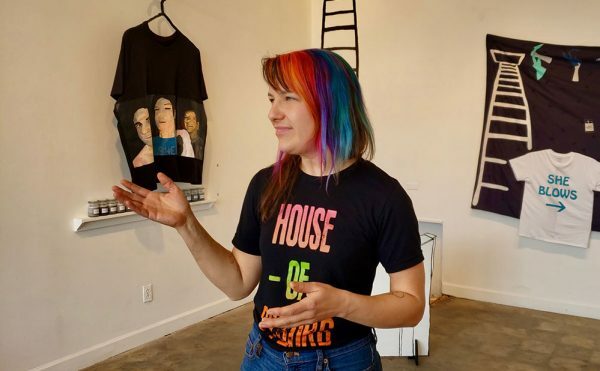 — artists Robert Rauschenberg and Robert Whitman, and engineer Fred Waldhauer — to launch this new organization, to keep such collaborations going,” she added. 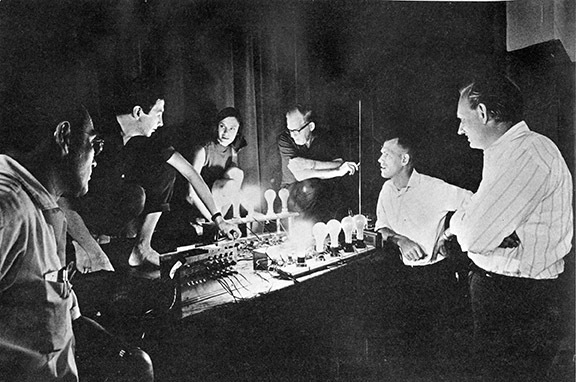 9 Evenings came into being when Billy Klüver, an engineer with Bell Labs, decided to initiate collaborations between artists and his fellow engineers and scientists; he believed such efforts could aid artists in their aspirations to work with new technologies, and engineers in their understanding of technology’s capacity to reimagine the future. His first collaboration was with sculptor Jean Tinguely on “Homage to New York” (1960), a self-destructing assemblage that “performed” at the Museum of Modern Art. Klüver then met Robert Rauschenberg and his wide circle of artist friends, and went on to help Jasper Johns create the neon orange “R” in his painting “Field” (1963–64) by installing a special battery pack behind the canvas so that the piece would not have to be plugged into a wall. 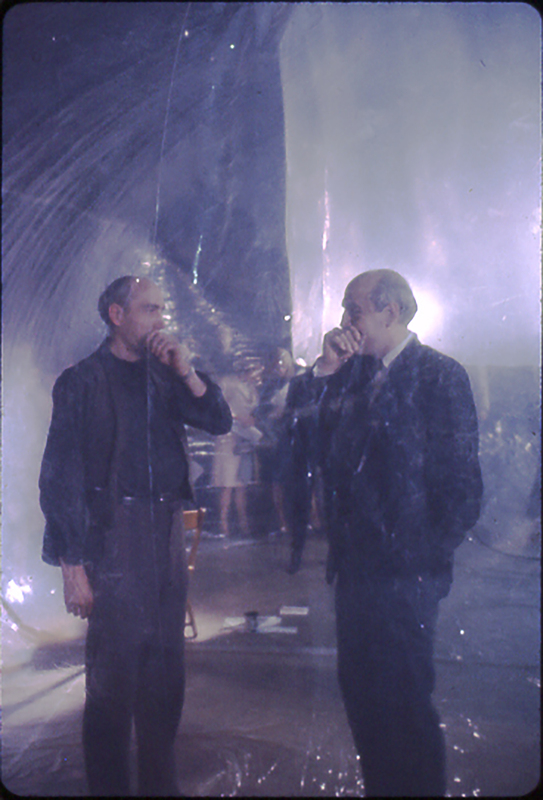 He was also instrumental in the creation of Andy Warhol’s mylar “Silver Clouds” (1966) and helped facilitate the production of choreographer Merce Cunningham and composer John Cage’s Variations V (1966), a collaborative sound, video, and movement piece. 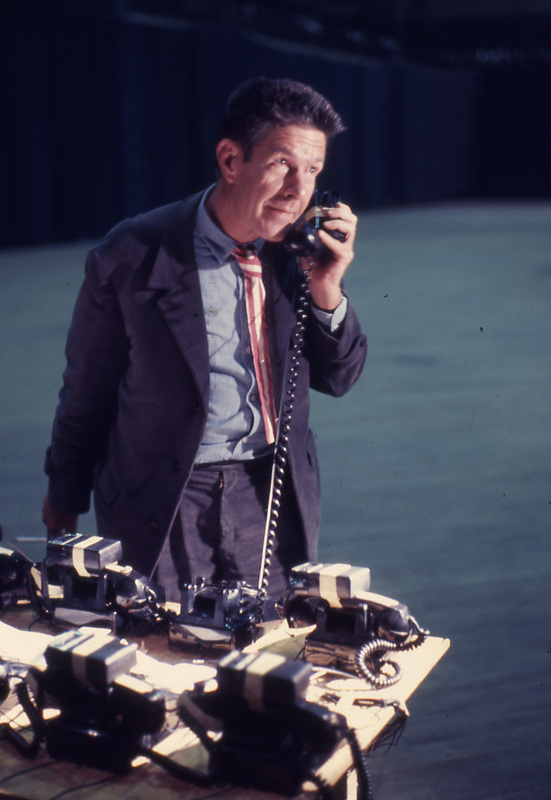 Initially, Klüver and Rauschenberg planned 9 Evenings for the 1966 Stockholm Festival of Art and Technology, because the Swedish engineer maintained ties with the art scene back in his native land. But when the American component of the festival was cancelled, Klüver plowed ahead and found the Armory location. After an initial meeting between a group of artists and the Bell Labs engineers, the latter set about building portable electronic modules, or the TEEM system, over the course of 10 months. The system functioned via remote control, without any wires, making most of the original dance and movement pieces possible. Choreographer and filmmaker Yvonne Rainer had first worked with Klüver on At My Body’s House (1964), using a small contact mic and FM receiver in order to dance to the sound of her own breath. 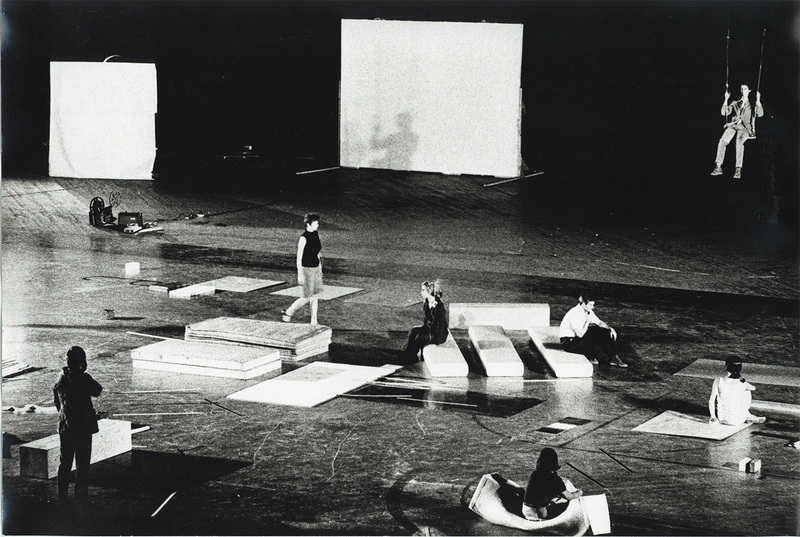 For 9 Evenings, Rainer created Carriage Discreteness, which included a young Meredith Monk and the artist Carl Andre. Rainer sat in a balcony and relayed instructions via walkie-talkie to the dancers, who had signal receivers on either their wrists or shoulders. On the floor were cubes, planks, sheets, wood, styrofoam, and rubber. She told the performers to move things from one location to another, while films played and foam rubber dropped from the ceiling. Choreographer Deborah Hay produced Solo, which featured dancers performing on top of mobile boxes that were remote-controlled by eight individuals sitting in chairs and dressed in formal clothes. The music for the piece was composed by Toshi Ichiyanagi, a former student of John Cage’s and Yoko Ono’s first husband. For Grass Field, dancer Alex Hay donned a backpack stuffed with amplifiers and FM transmitters. 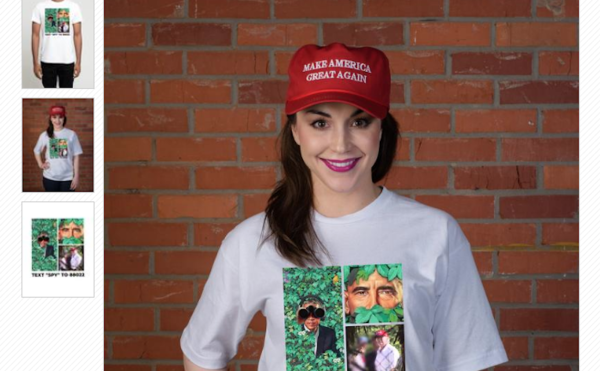 Electrodes placed on his body picked up brain waves, muscle activity, and even eye movements, the sounds of which were sent to an FM transmitter, and then to speakers, as a projection of his face beamed onto a large screen directly behind him. Choreographer Lucinda Childs premiered Vehicle, a work that used a Doppler sonar system. Childs swung buckets, suspended from scaffolding, that caught and reflected ultrasonic sound beams and transmitted the sounds to 12 speakers. All of these works are remarkable for how they anticipated and made use of wireless, streaming video, biometric trackers, and depth and sound sensors at a time when such technologies were basically unknown to the general public. Another dancer, Steve Paxton, created an immersive sculptural environment called “Physical Things” — a 20,000-square-foot inflatable, transparent, polyethylene structure that the public could enter. The first tunnel took viewers to the “Forest Room,” with fake turf and projected vegetation motifs. 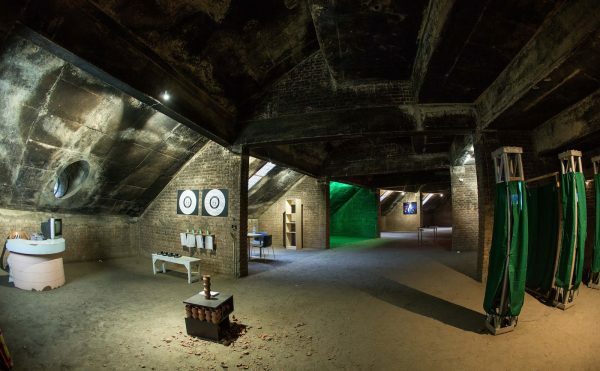 A second tunnel led to a space called the “Big Room” and then to the “Performance Area,” where, concealed behind curtains, performers exposed small, odd parts of their bodies, like their scapulas or just the calf of a leg. Other performers coated themselves in Spectratherm, a product made by Westinghouse that displayed differences in temperature between blood vessels and skin. Audience members, who had been outfitted with small radio receivers at the beginning of their journey, had to climb up a 100-foot vertical tunnel in which suspended wire loops sent out the waves of pre-recorded found sounds. Participants heard the sounds via their radio receivers, filling the voluminous space with chatter. But the real pièce de résistance of 9 Evenings was Robert Rauschenberg’s Open Score, a tennis game wherein FM transmitters were sequestered inside the handles of two tennis racquets, along with contact mics and antennae. Artist Frank Stella and Mimi Kanarek were the tennis players. Each time the ball was hit during the course of the game, it made a deep boing sound, and a specific light in a bank of 48 shut down. Once all the lights went out and the Armory was plunged into total darkness, the approximately 500 audience members were filmed on stage using infrared night-vision cameras sourced from Japanese companies, as the technology was still restricted for use in the United States by the military. Viewers were asked to do silly things, like hug the person next to them or take off and put on their coats. The images were projected onto enormous overhead screens, and because of the infrared light, everyone appeared as blond-haired with black pupils. These days, infrared cameras are used everywhere, from monitoring department store traffic to surveillance to powering the depth sensors in the Kinect, but in 1966, they were exceedingly rare. To see their powerful capabilities in action must have been thrilling. Fifty years after 9 Evenings, we have a vastly different relationship with technology. 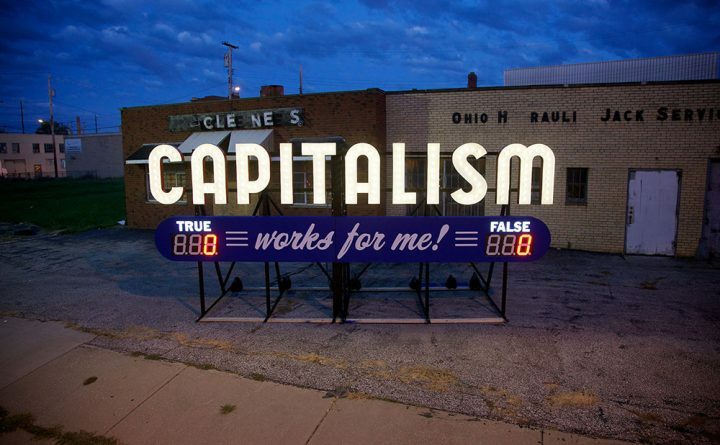 Daniel Neumann, a co-curator of 9 Evenings + 50 along with Martin and Regine Basha, described the original series as expressing a “visionary aspect that was part of the modernist utopia,” whereas now, the passage of time “has proven that it is not technology that will change society” into a utopia. And so, the new series does not look to mimic its predecessor, only to interpret its essential spirit of the possibilities and breakthroughs of art and technology collaborations. To get an idea of what this might mean, I attended the September 20 concert, which began with Andrew Demirjian‘s film “Echoes from the Black Box,” a doleful musing on the one-time reign of the former two-million-square-foot Bell Labs in Holmdel, New Jersey. Built by architect Eero Saarinen, who also designed the futuristic TWA Flight Center at JFK Airport, the lab was deactivated in 2007. Over the course of its 45 years of operation, the facility turned out seven Nobel Prize winners, 17,000 patents, employed 5,000 people, and gave the world a plethora of breakthrough developments in technology. The ghostly absence of the researchers in Demirjian’s film became the backdrop for composer Kenneth Kirschner, who created a live electroacoustic improvisation that mixed approximately 65 snippets of musical resonance with 21 clips of piano music recordings to interpret the mournful loss of the facility. Lesley Flanigan then layered sounds for her piece “Amplifications,” humming into a microphone and feeding the acoustic hum back into modulators and different types of sensors, which processed the sounds through four hand-built speakers. Composer Christian Wolff — last of the legendary circle that included John Cage, Merce Cunningham, David Tudor, Earle Brown, and Morton Feldman — took the stage last, performing “Or Four People.” The piece involved him playing a breath-powered Melodica while picking up such objects as rocks and metal plates and striking them together; the resulting clicks, bangs, and tings mingled with recordings of other musicians. The work done during the original 9 Evenings introduced technologies that few outside the elite circle of Bell engineers knew about and was groundbreaking in its vision and depth. The new series does a good job of focusing on some of the performers who were alive at that time (Wolff, Alvin Lucier, etc.) 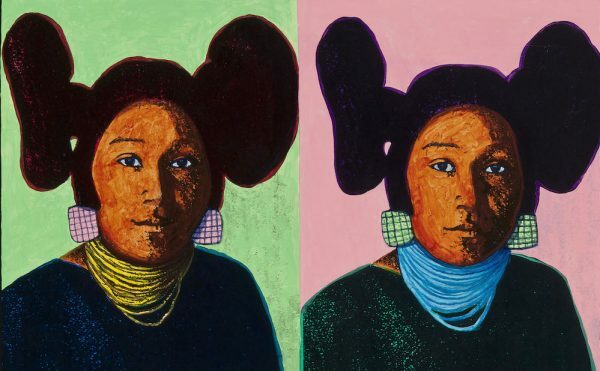 and loosely connected to the downtown scene, as well as younger artists whose work is about carrying on that sense of experimentation, learned from their elders. Many of the latter group currently show and perform in and around New York City, and it seems a natural outgrowth to showcase their incremental innovations on what’s now a recognized way of using technology in art and sound practices. The days of the type of long-range visionary research that Bell Labs produced, both in-house and through events like 9 Evenings, are gone, but as Demirijan’s film astutely points out, its beneficiaries are us. A smattering of the technologies the labs developed includes fiber optics, cellular technology, digital reverb, the C++ programming language, and encrypted communications, to name a few. Now the best and brightest engineers have gone to companies like Facebook, producing intricate schemes for short-term profits. Though some major tech companies like Google, Adobe and Microsoft are funding artist residencies, it’s not with the same sense of wacky experimentation and lack of tangible payoff that Klüver and the Bell Labs engineers brought to the table. Museums are tiptoeing into art and tech incubators, but they are often constrained by budgets, facilities, and a lack of experts. The only institution left in this country that’s taking the same long-term view towards research and development that Bell Labs did, without having to worry about a return on the investment, is the same one that brought you the internet, DARPA, and its spinoff, IARPA; DARPA is not, however, interested in collaborating with artists. It remains to be seen who might dream up the next 9 Evenings, and where. 9 Evenings + 50 continues at Fridman Gallery (287 Spring Street, Hudson Square, Manhattan) through September 24 (and can be live-streamed on the gallery’s website). After 9 Evenings takes place at ISSUE Project Room (22 Boerum Place, Downtown Brooklyn) from September 25 through October 1, with a symposium at the NYU Tandon School of Engineering (6 MetroTech Center, Downtown Brooklyn) on October 1.